Need free seamless fabric textures for your 3D clothes or cloth? Download our beautiful free tileable fabric patterns pack. This pack of 15 tiling fabric material textures contains a tiger texture, leopard pattern, abstract glitter fire texture, sweater and sweatshirt knit textures, beautiful batik patterns, floral patterns, a burlap fabric texture and a sweater stripes texture. 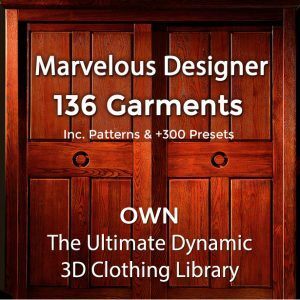 You can use our seamless fabric textures for 3D digital clothing, DAZ / Poser clothes, Marvelous Designer garments or any other digital cloth projects. Our seamless fabric material textures can also be used for architectural renders, interior design, as well as for texturing bags, blankets, sheets, sofas as well as for curtains and other drapery. We hope this free seamless fabric textures pack download helps you! Need more tiling material textures? 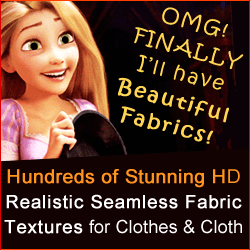 Check out our HUGE library of 300+ realistic seamless fabric textures. Blessings to you the Elves shall send!